If you’ve been injured in a type of accident on road or at work and it left you with heavy medical expenses, thereby you and your family is suffering an ongoing pain and inconvenience and surely you have a right to claim. However, you are only eligible to claim compensation when other party is at fault and you should contact experienced advisory team who can assist and guide you well. They can always help and align you with the right solicitors as per need and demand. Mostly it’s seen people who have suffered injuries or have had any accident that happened due to someone else’s negligence refrain from asking for their compensation as the fear of heavy law suits and risk factor of winning or losing. But the fact is there are many firms who provide free advice and connect you with the right solicitors who run the case on “NO WIN NO FEE” basis. In many cases it seems difficult to decide whether to take legal action for a personal injury claim or not? After all, there might be a risk factor and plenty of legal fees can come along way. There are many advisory firms in UK, like NASL who can help you get connected with the experienced solicitors who assist you well and makes it easy for you to secure a favorable settlement. To solve this dilemma of heavy Solicitor’s upfront fees, we at National Accident Support line, help and guide the injured who is struggling to meet the usual daily expenses and bear the medical expenses at the same time by getting them aligned with the solicitors who can help to relieve your concerns on No Win No Fee basis. When you talk to our advisory team we would first discuss all elements of your case with you on behalf of which we weigh your prospects of a successful claim. Later as per your consent we align you with our experienced solicitors who works on NO win NO Fee basis and they only charge you fees if you win. This Gives our clients a peace of mind as the solicitor will make a decision to run the case only if it has reasonable prospects of success. 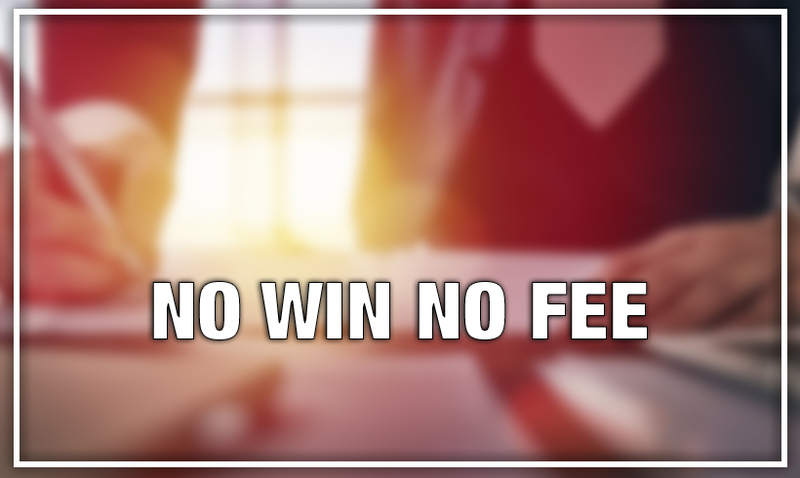 It is indeed very important that when considering a No Win No Fee arrangement with any firm, one must clear and ensure about the disbursements that might occur. We at NASL assure and make it clear to our clients to read the Client Services Agreement and at the same time we are available to answer all queries and questions associated to your compensation and entire claim process. In most cases, party are advised to avoid going to the court if settlement can be done with negotiations. However, if the case proceeds to the court and you lose the claim, you’ll probably be liable to pay legal costs and expenses, even if you have signed a no win no fee agreement. Usually the clients will take out a After the event insurance cover which can cover most of the costs. Always speak to your solicitor before committing to proceed with the case. The Bottom line is that at National Accident Support line we are transparent and honest towards our client who is suffering and do not charge unnecessarily to burden them with heavy expenses. We will only recommend our customers to solicitors if we believe there is good prospect of success and Our Panel Solicitors fees are only paid if you win your claim . It’s simple when you don’t get paid we don’t get paid!